I was kindly gifted two tickets to this show in exchange for an honest review. Long time readers of this blog will know that I am a massive fan of Gothic Literature. It’s my guilty pleasure and I consume it in anyway I can. When the folks at Darlington Hippodrome invited me to the opening night of The Picture of Dorian Gray, I leapt at the chance. I loved the novel when I read it a few years ago and I was certainly intrigued as to how it would translate to the stage. This production, adapted by Tilted Wig, did a fantastic job at bringing an already brilliant story to life in a new medium. While this play was every bit as tense and unnerving as I expected, what truly surprised me was the humour. The cast worked fluently together to have me chuckling away, moments after a moment of serious philosophical contemplation. In particular, Basil (Daniel Goode) and Lord Henry Wotton (Jonathan Wrather) had some serious comedic talent. These are only two examples of a truly stellar cast who worked seamlessly to entertain and intrigue me. 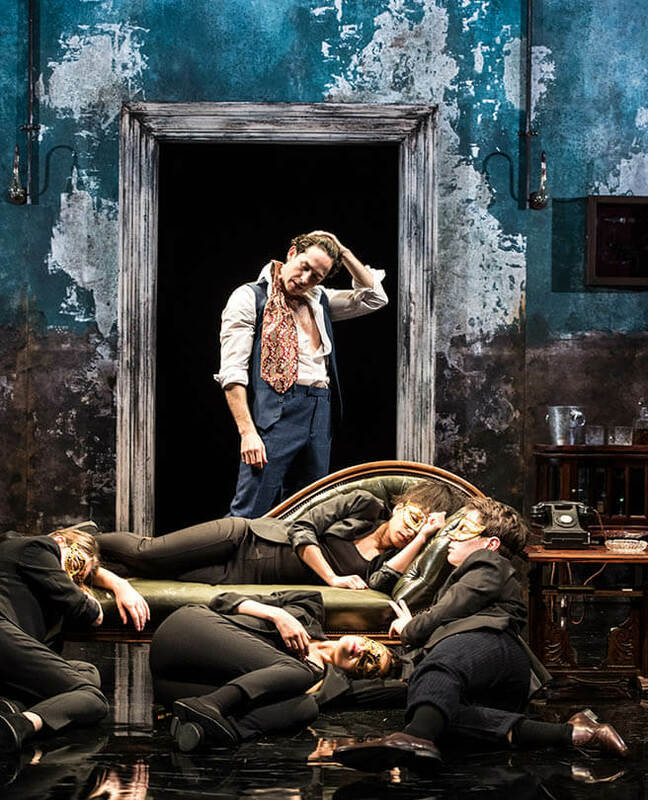 Gavin Fowler was truly spectacular as Dorian Gray, perfectly capturing the dark descent into depravity that haunted me on that first reading of the novel. With an unnerving set and use of props, this production was truly captivating. It was beautifully haunting , a perfect portrait of the Gothic masterpiece that inspired it. If you haven’t already got your tickets to this show, I’d fix that mistake now! Tickets are available on the Darlington Hippodrome website or at their box office. Why not give in to the temptation?